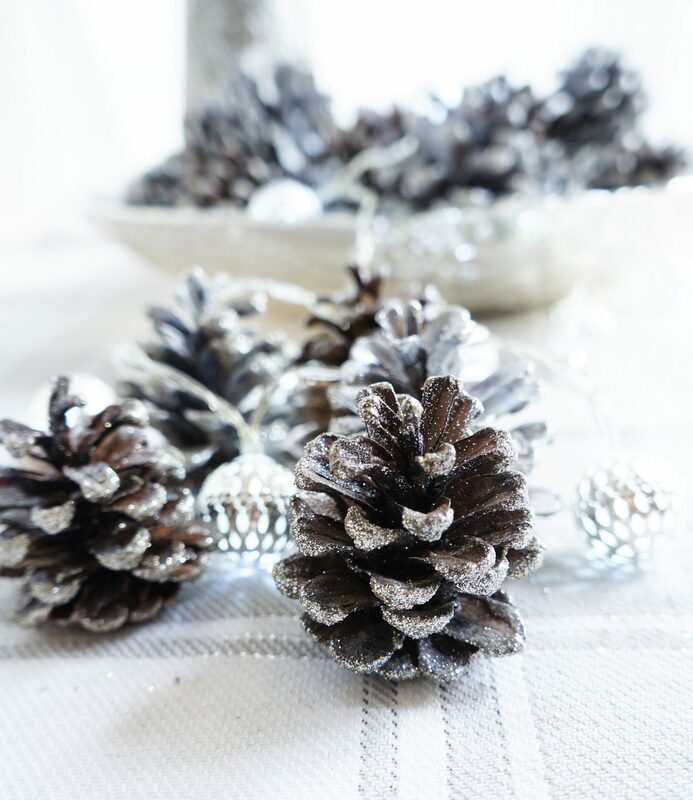 These DIY silver sparkly pinecones are a gorgeous, yet simple decoration for the holidays! Place them in a pretty bowl or on a tray, and watch them glitter! I am a huge fan of anything that glitters. When I walk into a store and there are a bunch of sparkly things, I can’t help but head in that direction to take a closer look. Sparkles make me go a little crazy. So of course, I had my eye on all of these glittery pinecones that I was seeing all over the stores. Now I’m not sure if I’ve ever mentioned it, but I have a little brother who’s 12 years younger than me. Yeah…BIG age gap. He recently got a part-time job, but before that, he was DESPERATE to make money. I felt kinda sorry for the kid and I needed some assistance with some tedious tasks from time to time…. SO I used to pay him to do little things like updating my workout playlist, and scan receipts for my work expenses. All that fun stuff. My mom used him in a similar way to do little time consuming tasks around the yard. He would get paid a bit of money to pick up pinecones off of the yard and collect them in a bucket. So one day, I happened to go into the garage and I saw this big bucket of pinecones just sitting there. So I asked my mom what she was going with them. “Throw them out”, she said. What?!! Those pretty little gems? I wasn’t going to let that happen. 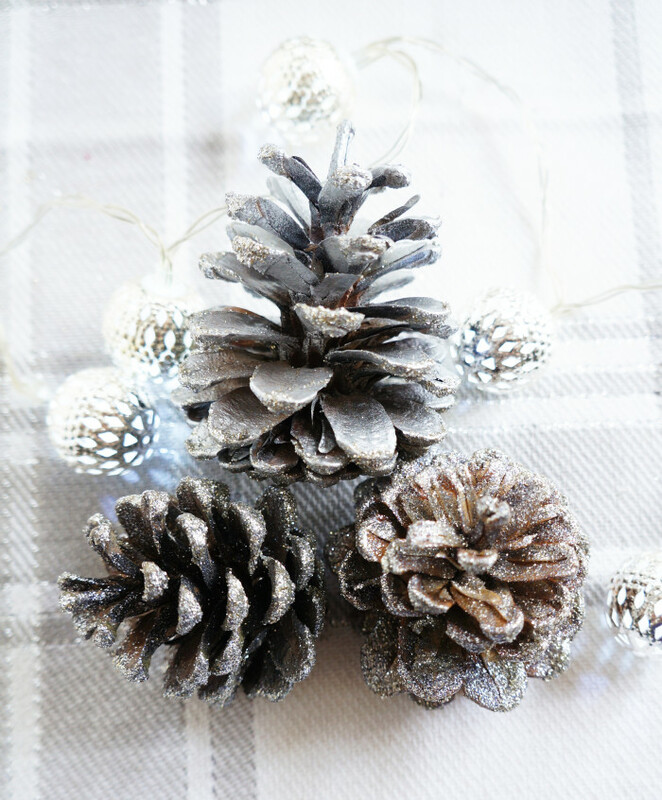 I had some silver and sparkly spray paint leftover from my DIY Glam Pumpkins that I made for fall, so I decided to put it to good use and glam up my pinecones too! For the first ones, I just kept them au natural and dipped the edges in some Martha Stewart’s glitter glue. 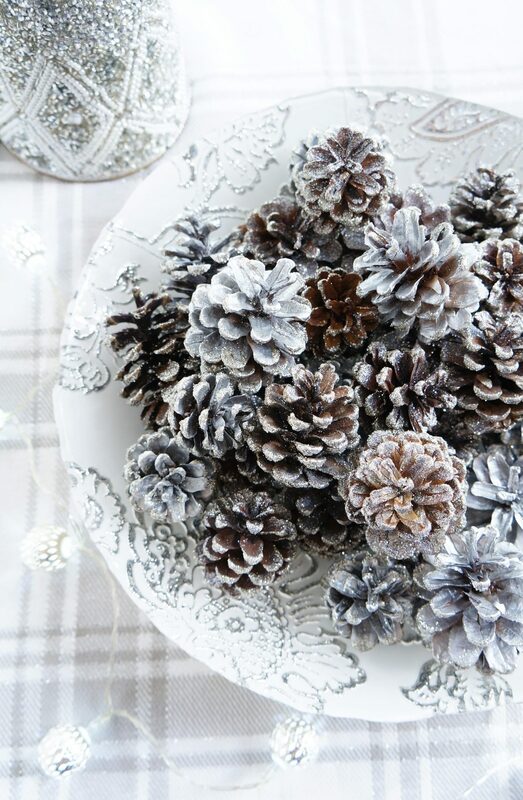 And next, I just rolled the pinecones in some of Martha Stewart’s white gold glitter. I spray painted the other half of pinecones with silver spray paint. Once it was dry, once again, I rolled the edges of the pinecones in the glitter glue. And once again, rolled them in the glitter. If I missed any spots, I just picked up some of the glitter and sprinkled it onto the exposed glue. I strongly recommend that you do this activity over a big bowl or tray on some newspaper. It’s a little messy. Next, I sprayed them with a clear varnish to ensure that the sparkles didn’t go flying everywhere. 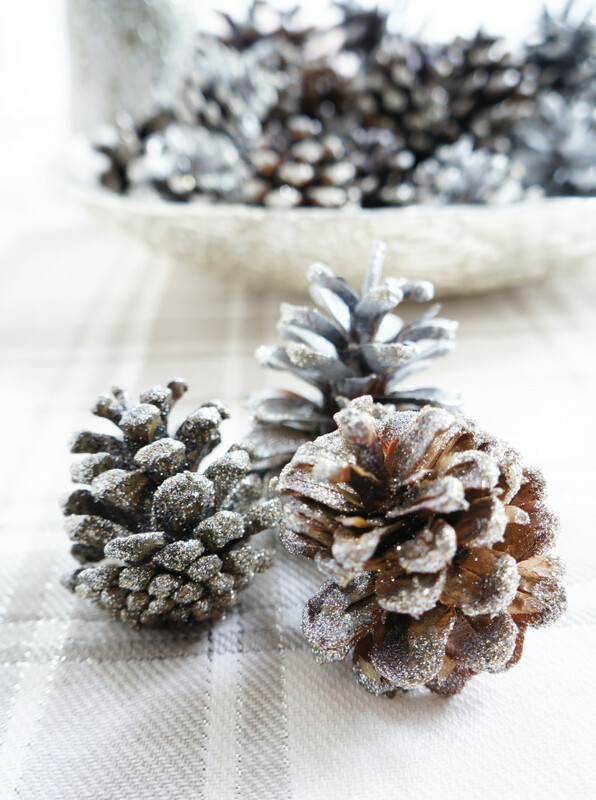 So here’s what you need to make these sparkly pinecones! Love this project? Pin for later! P.S. 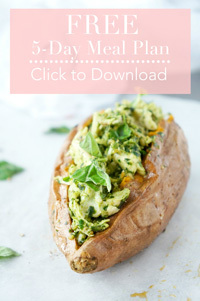 If you’d like to get healthy recipes, style, decor & motherhood tips sent to your inbox, subscribe below to receive my weekly updates! I just made glitter pumpkins for fall… these look like a must for winter! Love everything about it! Thanks so much Erin! They are SO pretty!!! 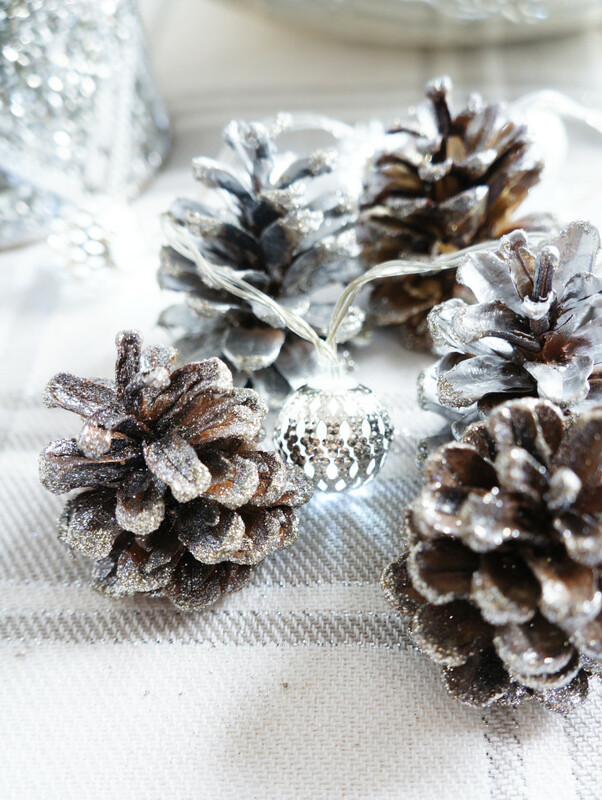 I love ALL the sparkly things…the pinecones AND the pumpkins are beautiful! I would love to buy Christmas gifts! An Amazon gift card would definitely help with those Christmas gifts! There are so many families that need help at Christmas. I would adopt 2 families and make their Christmas Merry. Aw I love that idea Sandy! After all, Christmas is the season of giving! 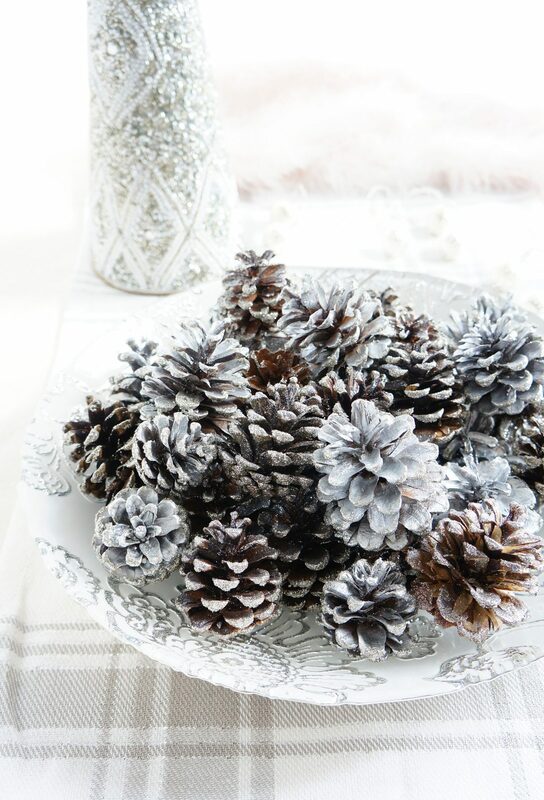 This takes me back to when we made glitter pine cones as a child – one of my favorite crafts. I LOVE glitter! That’s such a great memory Kim! Any craft that involves glitter is always fun…and pretty!